At this point, we’ve seen three very different trailers for Suicide Squad, each one establishing not only the tone of the blockbuster, but also giving us a peek at how we can expect the large ensemble of villains to interact with each other as they team up on a black ops mission for the government. That being said, the details of that black ops mission remain the film’s best kept secret, and while there have been many rumors swirling around over the last few years, writer/director David Ayer told us that we have not yet heard an accurate report about the job that the titular group has been hired to do. it’s very mysterious. I know everyone is peeking through a keyhole trying to figure out what the movie is about, but nobody’s got it yet – which is a lot of fun! Our surprises remain intact. Just like we see in the development of all comic book movies and major blockbusters, the last couple years have been filled with "scoops" and stories claiming to know exactly what Suicide Squad is about - but evidently the truth has not yet been stumbled upon. 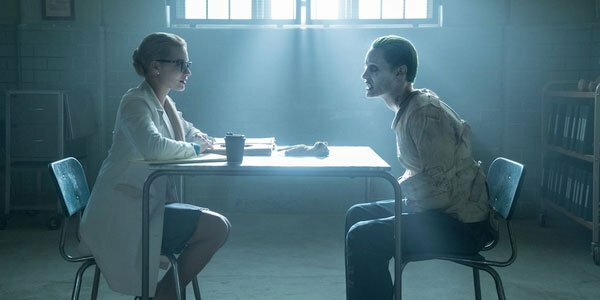 There has been talk that Antiphon is the main villain, and that a part of the plot would involve breaking Jared Leto’s The Joker out of prison, but Ayer’s comments suggest both of those are off the table. So we’ll just have to wait and see what the film winds up actually being about. What do we know for now? Well, the basics are that government official Amanda Waller (Viola Davis) has the idea to assemble a special task force of supervillains who will be used to pull off highly risky or controversial missions. This is a team that includes Deadshot (Will Smith), Harley Quinn (Margot Robbie), Slipknot (Adam Beach), El Diablo (Jay Hernandez), Killer Croc (Adewale Akinnuoye-Agbaje), Katana (Karen Fukuhara), Boomerang (Jai Courtney), Enchantress (Cara Delevingne) and their wrangler, Rick Flag (Joel Kinnaman). Together the bad guys will work to defeat a greater evil than themselves – though exactly what that greater evil is we have no idea. Suicide Squad will be in theaters on August 5th, and stay tuned for more in the coming days, weeks, and months for more about the film.